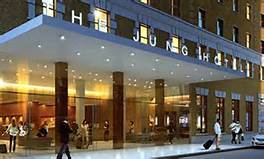 Dwyer, Cambre & Suffern represents the purchaser/developer of the famous Jung Hotel on Canal Street in New Orleans, Louisiana. The hotel, which was heavily damaged by Hurricane Katrina, will ungergo a $130 million renovation project that will include 175 apartments, 145 hotel suites and 50,000 square feet of retail space along with three rooftop experiences. Dwyer, Cambre and Suffern negotiated, structured and closed a highly complex financing that included developer equity, Federal Historic Rehabilitation Tax Credits, State Historic Rehabilitation Tax Credits and EB5 loan funds.